Connectivity: About 90 airlines operate flights to around 150 destinations worldwide, including about 40 Chinese mainland cities. Hong Kong International Airport is the only civil airport operating in Hong Kong now. Located on the artificial island of Chek Lap Kok, north to Lautau Island of the New Territories, it is also called Chek Lap Kok International Airport (CLK). It is the fourth busiest international passenger airport in the world and has the busiest international cargo facilities. There are 90 airlines operating from the airport and at any time, some 750 aircraft are on their move daily. HKIA links Hong Kong with around 150 destinations round the world, including 40 cities in Mainland China. Since its operation from July 1998, the International Airport has earned the world's best airport recognition for more than 25 times by 10 different entities. It boasts two terminals, with an area of 71 square meters. Whilst Terminal 1 was put into use from the start, Terminal 2 was only added in Feb.2007. Located opposite to each other, the two terminals are within walking distance. Hong Kong International Airport is the southern gateway to Mainland China. Some 320 cross-boundary shuttle buses connect it with 90 Pearl River Delta (PRD) cities and towns. Passengers can use cross-boundary limousine to get to their PRD destinations directly. What's more, with the SkyPier cross-boundary ferry services, passengers from Pearl River Delta cities going overseas will have a comfortable trip as they do not have to go through the usual immigration and customs formalities in Hong Kong. At present, speedy cross-boundary arrangements are available at eight Pearl River Delta ports: Shekou and Fuyong ports of Shenzhen, Nansha port of Guangzhou, Humen port of Dongguan, and ports in Zhongshan, Zhuhai and Macau. At Shekou, Macau, Fuyong and Humen ports, passengers can even pre-check-in their baggages and obtain their boarding passes. A new permanent SkyPier facility is currently under construction. Airport Express is one of the world's leading airport railway systems, offering swift transportation between HKIA and the vibrant city center. The 35.3km long journey from the airport to Central downtown takes as little as 24 minutes. It takes only 1 minute from the airport to AsiaWorld-Expo. Airport Express boasts five stations: AsiaWorld-Expo Station, Airport Station, Tsing Yi Station, Kowloon Station, and Hong Kong Station. Moreover, passengers can enjoy exclusive free services. HKIA is well served by public bus routes, transferring passengers to and from most parts of the city. Comfortable and relatively inexpensive, they offer a convenient transport option. There are altogether five routes; "A", "E", "N", "S" and "R", providing distinct services. Taxis offer a fast and flexible service to and from the airport. Arriving passengers intending to use this service should proceed to the Taxi Station on the left-hand ramp outside the Arrivals Hall. Taxis in the city come in 3 colors, distinguishing the areas they serve. They are the red urban taxis, the green New Territories taxis, and the blue Lantau taxis. Whilst all taxis serve the airport, none gets access to Discovery Bay. Limousines provide a more luxurious mode of transport, but hotel coaches are also available. There are in total 3 service providers, namely SkyeXpress, Airport Hotelink Limo Services Ltd. and Parklane Limousine Services Ltd.
Hong Kong Society for Rehabilitation provides accessible transport and travel services between the airport and hotels and sightseeing for people who find it difficult or impossible to use public transport. Visitors from overseas (non local residents) with mobility difficulties who need transportation and travel services, e.g. traveling between the airport and hotel, and sightseeing, can book its service in advance. Residents of nearby Discovery Bay and Park Island can travel to the airport swiftly and easily by residents' shuttles. The airport offers extensive land and sea connections to major cities in Pearl River Delta region. While cross-boundary ferries provide speedy sea transport to and from seven mainland ports, coach service covers more than 90 Pearl River Delta cities and towns. Passengers looking for point-to-point transport can hire a limousine to enjoy more privacy and comfort. Where is Qantas check in counter at Hong Kong international airport ? The counter is located at Area E1, in T1. What is the best way to go from Hong Kong airport to Kai Take Cruise terminal? You can take Bus Line E22 to Ede Road, Cornwall Street and then transfer to Bus Line 22 to the terminal. It takes about 2 hours and HKD18 per person. You can take the bus line E11 and its first bus departs at 5:20. In addition, it takes about 80 minutes to get the airport. Can I do a baggage drop off at Hong Kong station for Indigo airlines? Is there a sleeping area at the Hong Kong Airport for long layover? How much? Yes, the Club Autus - HK Airlines Lounge is near Gates 201-230, Departures Level (L7), Midfield Concourse (Restricted Area). 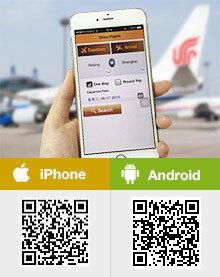 There are three ways to charge: CNY400 for 2 hours, CNY500 for 5 hours and CNY600 for 10 hours.